The Secrets to Budget Travel: Flights! It’s no secret that I am a budget shopper in all areas of life! Thanks to my mom, I grew up going straight to the clearance rack, searching for coupon codes, and tallying how much I saved on each of my purchases. To this day, not much has changed. I am a huge proponent for good deals, especially when it comes to traveling. It doesn’t take as much money to travel as most people think. And I’m excited to share exactly how to make it happen! Before we can really talk about all of my tips to traveling on a budget, we have to talk about your budget itself. You know that thing that tracks your income and expenses every month? You would be surprised how quickly you can manage to save for a trip if all of your disposable income is allocated to some sort of savings and you have a set budget for your purchases each month. I won’t say its the easiest thing to stay focused on the goal. Truthfully it takes discipline, but if your priority is travel you can make it happen! How We Scored $345 round trip tickets to Europe! So about those flights. . . When it comes to traveling, the two biggest expenses of your trip will be your flight and accommodations. You can always work around this and instead choose to take some trips within driving or train distance, but that’s not always possible when you want to travel internationally! Decide on the general time of year and length of trip you want to take. For our trip earlier this year to Spain and Italy, Tim and I knew we wanted to travel during the beginning of shoulder-season (April/May) for around a 3-4 week period. From there we made sure to keep an open mind when it came to travel dates. The key to traveling on a budget is letting the flight prices dictate the exact dates of your trip. Once you have a general idea of where you want to go (right now I have my eye out for flights to Thailand and Germany next summer), just wait to see the dates your flights are cheapest. Sign up for a flight tracker that notifies you of all low priced flights in your area. Tim and I use the free version of Scott’s Cheap Flights for email notifications on international flight prices. This is not sponsored! Just my honest opinion and suggestion for something I absolutely love. From their website you can sign up for the email lists and either opt for the free version or the monthly subscription. Every week I get a handful of emails with flights that are a great price and fly from my selected region. HINT: I signed up for all flights from the south and west coats of the U.S. even though I am located in Florida. The reason for this is because I know all the best priced flights to Asia and the Pacific islands will leave from the west coast and I am all for tacking on a quick pre-trip to my home state of California before catching a flight out! Use Google Flights to compare prices. Another way to track flight prices (internationally and domestically) is to use google flights and look at the flexible dates for your departure and arrival cities. I always play around with cities nearby to find the best deal. Just like anywhere, their are larger airports with more routes and therefore cheaper rates. 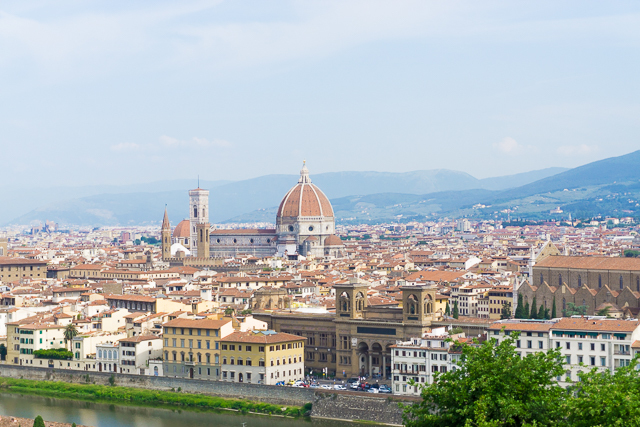 For example, during our recent trip we found it was much cheaper to fly from Malaga, Spain to Rome rather than to Florence. Half the price actually! So we chose to fly to Rome, explore for a couple hours and then take a train to Florence. When you’re looking at Google Flights (I recommend doing this is an incognito window for better prices! ), enter your departing and arriving destinations and then click to choose a date. At first just click random dates so that Google doesn’t show you cached results. Next, click the departing date again, and without selecting a date you can scroll through the months and keep an eye out for prices that appear in a green color. These are the best prices for the cities you have entered. Personally I just keep playing with the cities and dates until I figure out which will be the most cost affective. If I’m ready to jump on it, I’ll purchase! Otherwise, I will select a flight and scroll down for the option to track that flights prices. Once you’ve found a flight that fits within your time frame and budget, it’s time to book it, and fast! Many of the deals sent on Scott’s Cheap Flights only last a day or two so if you see one you like, you have to jump on it! Take the departure city and arrival city suggested and place them into Google flights. Then check the flexible dates view to compare the options within your time frame so you can see price fluctuations. Choose the one that is best for you while taking into account the flight times, days of the week, possible layovers, etc. The first time Tim and I jumped on a flight deal it was exhilarating. A little daunting too- if I’m being honest. We tracked flights to Europe for awhile and hit the jackpot! $345 round trip, nonstop flights from Miami Int’l Airport to Madrid on Air Europa airlines and we were able to book the next day. That’s why its so important to know the general time frame you are hoping to travel within and ensure you have your time off at work and any other obligations squared away. Start planning the rest of your trip. Once your flight is booked the fun begins! Its time to get excited about your destination, do your research, and start filling in your itinerary. Traveling doesn’t have to be a once in a lifetime experience! Make it a priority and start saving ideas for places you would like to visit. Sign up for flight trackers and start saving a little bit of money each month. In a couple months you will be exploring a new destination and thanking yourself! Omg, thanks for the amazing tips!! these are some amazing tips!! I do some of them myself and it definitely helps when I travel often back n forth to see my hubs! !